Skills themselves are learned via Witch’s Petition in Dronya’s caravan. These are skills which will aid Tractie in the exploration of the caravan and you use the mana you’ve collected to buy them. These range from the Mud Exit mentioned earlier, to useful EXP stockpiling which gives boosts to earned EXP, difficulty changes, and much more as the game progresses. It’s up to you to spend your mana wisely and decide which skills will benefit you on your quest through the labyrinth. Some skills seem a lot more useful than others, so there’s an element of forward planning. There’s nothing worse than spending all your mana on something which turns out to have no effect on your gameplay, forcing you to farm for more of the skill currency. Using skills requires Reinforcement Points (RF). You’ll start each journey into the labyrinth with a set amount, making venturing through the labyrinth a somewhat tactical operation. While you can break down walls, doing so will drain RF which you may need later, so it's important to conserve what you can, lest you fancy a trip back to the caravan to recover. While exploring the labyrinth, enemies will appear. 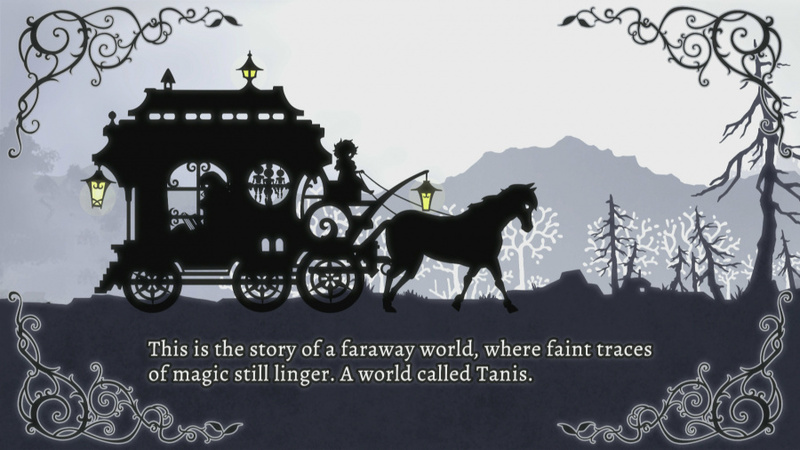 Battling the enemies in Tractie’s place (because how can a book fight?) are puppet soldiers. You can craft the puppet soldiers across six classes; you’ll need a soul and puppet parts to do so. There’s a degree of customisation when creating puppets which makes it fun to play around with. Across the six classes you can create a male or female puppet, each of which has a number of different skins. 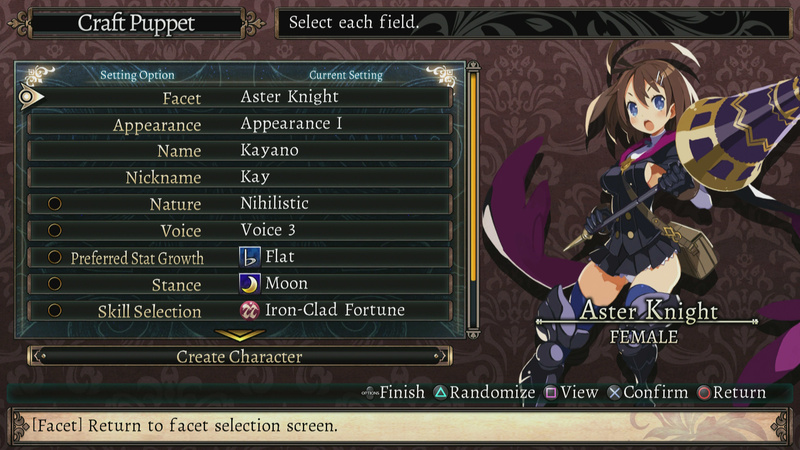 You’ll then be able to assign various attributes such as voice, nature, and skill selection, among others. While some of these attributes are fairly self-explanatory, others would benefit from more explanation as to how each will affect the puppet in battle. Once you’ve created your puppets, you assign them to a coven using pacts. 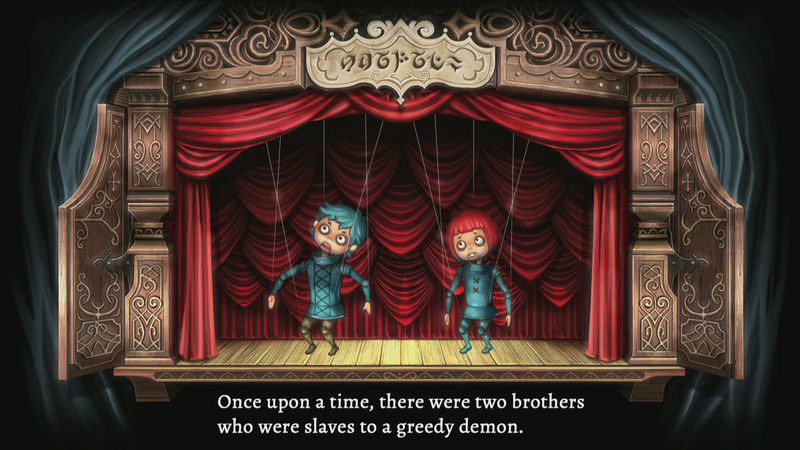 Initially you can only have one puppet per coven, but as you progress through the game and collect different pacts, you’ll be able to assign more puppets to each, meaning you can take more soldiers into battle. Soldiers can then be placed in the rearguard or vanguard of the coven, so the tactical options are vast. Each class and coven have their own strengths and weaknesses, so there’s a lot to play around with until you find a combination that suits the moment. The labyrinth is split into areas connected by antechambers, with each sector having a distinct theme and feel. There’s only a few types of enemies in each area, and this causes things to feel quite repetitive quite quickly. It’s easy to notice a gap in ability between your puppets and the enemy, and it does leave battles feeling like a chore at times as you easily overpower your opponent. Luckily you can have characters automatically attack during the turn-based battle-system with standard attacks by pressing triangle rather than assigning each coven with an action, which does speed things up when things start feeling this way. The labyrinth map fills out as you explore, and it's really satisfying to see areas mapped out fully. This becomes addictive, but can also lead to wandering parts of the map you really shouldn't be in yet. It's often unclear how you need to progress the game, which leads to some moments of sheer frustration. 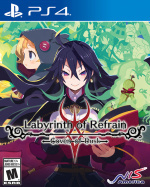 Labyrinth of Refrain suffers from poor signposting to a point that it's just sometimes not fun. By the sheer fact that no enemy is particularly taxing the rest of the time, if you come across a foe that wipes you out then you shouldn't be where you are – we learned this the hard way repeatedly. Labyrinth excursions are broken up with a vaguely interesting storyline. 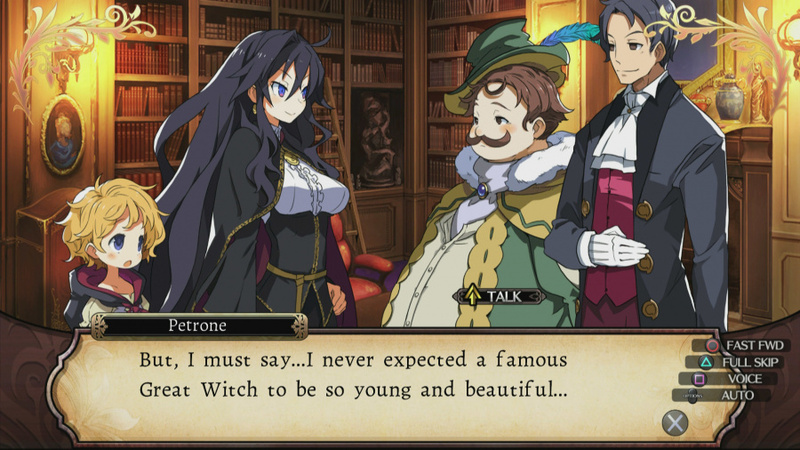 None of the characters in Labyrinth of Refrain are particularly likeable; Dronya herself lives up to her witch name, and another rhyming word besides. Her assistant, Luca, is thoroughly annoying, and sometimes it feels like she deserves the mistreatment Dronya throws her way. The host of supporting cast members fare no better, which is a real let down as it's hard to stay invested in a story where you just don't like anyone or care about their well-being. In typical JRPG fashion, there's a moment early on in the game with some extremely questionable subject matter between Dronya and an oversexed nun. Whilst somewhat expected of the genre, it leaves a sour taste and sets up the tone for the rest of the game. This is another game I have been very interested in since it's announcement. I've only played a couple of dungeon crawlers over the years and to be honest I never finished either of them mainly due to getting lost and just wondering around endlessly until I just got frustrated.Sounds like this could have the same effect. However your review doesant sound completely negative and i have played games with a 6 that I have enjoyed alot so hopefully we will receive a demo and i can make my own mind up. @Wazeddie22 Switch got a demo, don't see why PS4 wouldn't get one, if they don't already have one up on the store. Did you check that yet? @Wazeddie22 If you have a 3DS, try Etrian Odyssey V! It's very focused, hard to get lost. @Tsurii Thanks for the info.No demo on PS4 and demo on Switch is US only at the moment but hopefully that means UK may get the demo this week or next. @turntSNACO Its been so long since I played on the 3ds but may have a look Thanks for the suggestion! @Wazeddie22 I'll second the suggestion of trying an Etrian Odyssey game, although, in this case, I'll recommend EO IV. It's much easier to pick up, and the game is comprised of smaller dungeons that are easier to navigate. You can't go wrong with any of them,. though. Honestly, that series is so polished that it has ruined other dungeon crawlers for me. Not a great score but I'm still getting this, I really like this style of gameplay and presentation, and the repetitiveness hasn't bothered me before. We are all different when it comes repetition and the nature of it. @Ralizah I know, right? After playing EO IV and V, I tried Mary Skelter (the highest rated dungeon crawler on vita). It made me realize how much less interesting this type of game is when you don't have to think about your movement or weigh the risk/reward of exploring further. @Wazeddie22 I should add: if you've played Persona 3 or 4, Persona Q on 3DS is your best bet. It's got the most fun puzzles and gameplay IMO, but it will fall flat if you don't know the characters already. @turntSNACO Man, people raved about Dungeon Travelers 2 on the Vita, but I tried it and... it's just so boring. Most of these games look and feel cheap. They auto-map, so the sense of thoroughly exploring an environment isn't really there for me. They lack really amazing music. And, as you mentioned, you don't have to worry about your movement in the dungeon with no FOEs around, and there's no constant sense of fruitful danger as you're exploring and mapping ancient environments. And there's usually no puzzles aside from finding keys to unlock doors. Glad someone else really liked the smart puzzle design in Persona Q. I'd LOVE to see an EO game that is similarly puzzle-heavy. It really made each new environment a joy to explore. EO V was actually pretty good in this regard, at least in comparison to previous mainline entries. I really miss EO IV's big overworld, though. @turntSNACO @Ralizah Thanks again for your suggestions!Considering i know nothing about the Etrian Odyssey games is this another game franchise where each is not related to the other?Meaning are the storys all standalone? I am a HUGE Persona fan but for some reason something always held me back from trying Persona Q..but even though I have plenty to play you have each got me interested in digging out my 3ds now and hopefully one or two of those games are going cheap. @Wazeddie22 Yeah, they're all independent experiences. IMO, Persona Q and Etrian IV are the two best games to start with thanks to them being less difficult than other games in the series. Persona Q is extremely puzzle-heavy, and Etrian IV has a giant overworld to explore, so they both have their charms. @Wazeddie22 I think PQ might be a better entry point for you, but it depends on what you're looking for. PQ has all the p3/p4 characters and takes a lot of time in between dungeoning to let them interact. EO IV/V don't have much story and the party members are silent, so it takes a little imagination to get invested in your characters. For me, this also gives it a more pure sense of adventure, almost like a DnD game. Growth in EO is all about gradual character building. 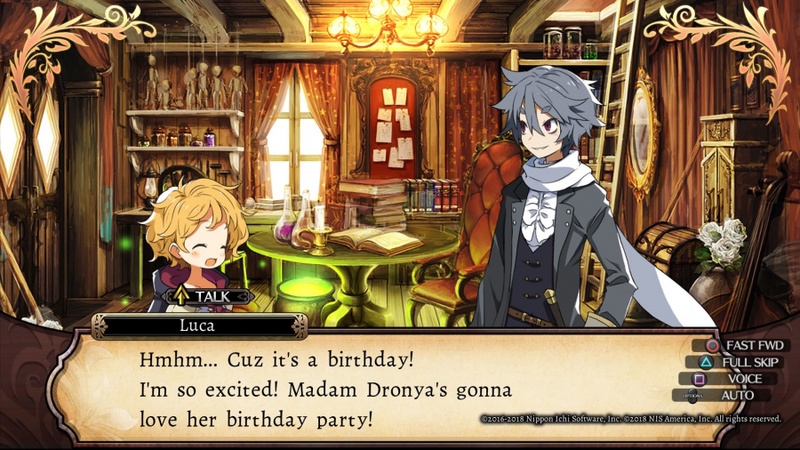 There's a wide variety of classes and skill trees, so it's great if character customization and party planning in RPGs is your thing. PQ is still all about collecting and fusing personas, but you've got more options than usual since you can assign a sub-persona to each character to add skills to the ones they get from their canon persona. Both have great dungeons - PQ has themed areas like P4 and EO is known for natural environments like forests and caves. You should be able to get any for $20 on the eshop, except maybe EOV since it's newer.